There is always a light at the end of every tunnel here at Windy City Skylights! Hard work, dedication, and faith can help anyone accomplish their life’s dreams. Jeff and Sheila Culbertson are the perfect example of that! 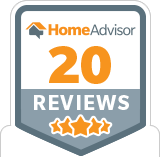 Jeff and Sheila are the owners of National Skylight Solutions, the parent company of their Velux 5 Star Skylight Specialist companies located in St. Louis, MO and Chicago, IL. 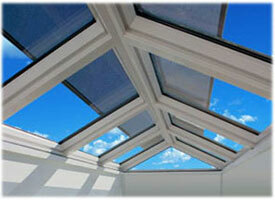 Windy City Skylights is one of the fastest growing skylight installation companies in the Chicago Land Area. … to success in skylights! After leaving the Air Force, Jeff and Sheila were contacted by fellow veterans and previous owners to come and be a part of a skylight business they had purchased after leaving the Air Force themselves. 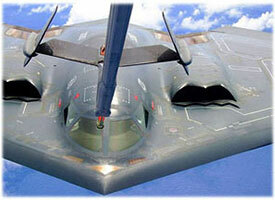 Jeff and Sheila moved to St Louis and worked side by side with Bill and his wife Amanda over a period of seven years. Two of those seven years were at the location in Chicago where Jeff worked as the General Manager and Sheila worked as the office manager. The hard work and dedication paid off and Jeff and Sheila moved up the ladder to the upper management of the company. 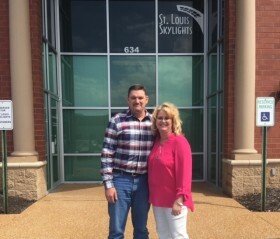 Bill and Amanda decided to sell the business late in 2015 and since Jeff and Sheila had a desire to own a business, they purchased National Skylight Solutions in April of 2016. St. Louis Skylights was started in 1989 and over time has grown to be a fixture in the St Louis area. As St Louis Skylights continued to grow a new branch office, Windy City Skylights, was opened near Chicago Illinois in 2008 and National Skylight Solutions was born. National Skylight Solutions, in conjunction with our branch offices, also has division for commercial skylights specializing in the sales and installation of commercial skylights nationwide. National Skylight Solutions plans to continue to grow and expand to more areas in the coming years with locations all over the Midwest.